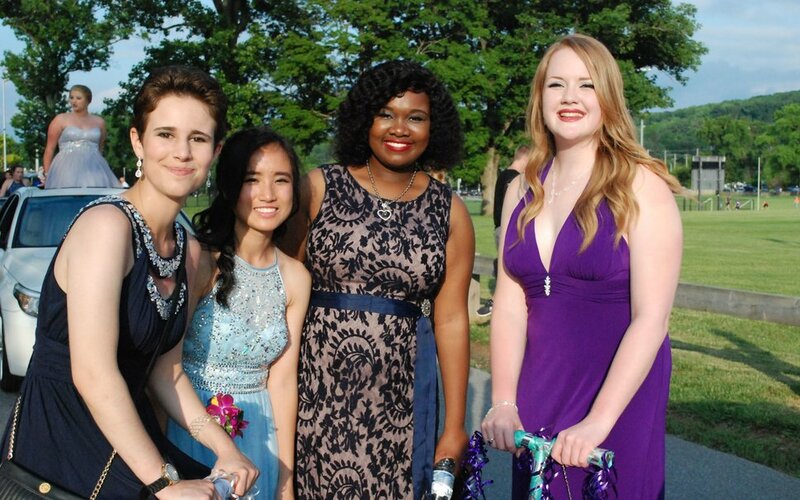 Continuing the unique tradition that dates back to the early 1980s, Coatesville Area High School Seniors began their prom night with a parade on campus. 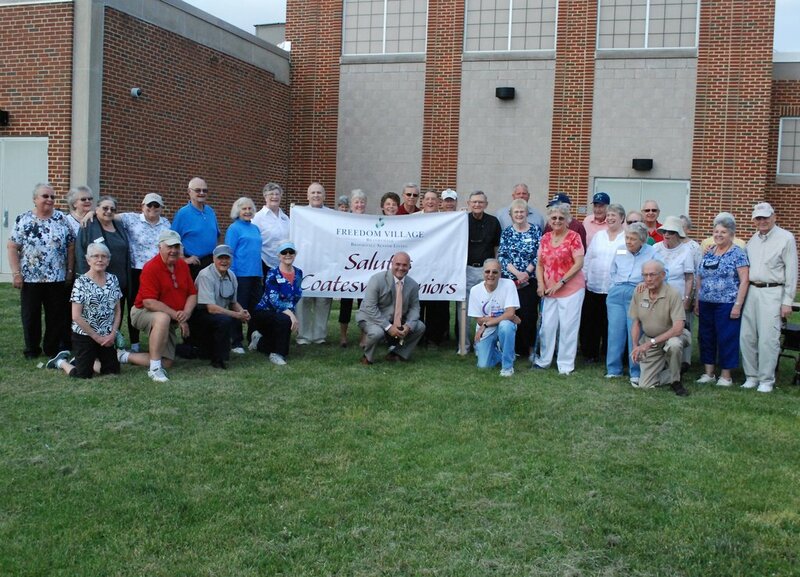 CALN – As the gray skies cleared and the sun began to shine, seniors from the Coatesville Area High School eagerly gathered in the parking lot at the Chester County Intermediate Unit Learning Center on campus, in preparation for a tradition that dates back over 30 years – the prom parade. The theme was “A Night Under the Stars” according to high school senior Erin Boulger, who rode in the parade on a Ben and Jerry’s float. 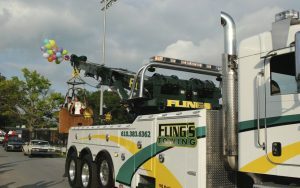 The group of seniors started planning for the float — which included eating over 200 pints of ice cream — last year, though the float itself took about four days to construct. “Being in the parade was so much fun and we had a great time at the prom.” said Boulger. The parade lasted over an hour and included a unique blend of floats, limousines, modern and antique cars and trucks, a motorcycle and an ATV. This year, a group of senior girls even rode in on their scooters, which according to CASD superintendent Dr. Cathy Taschner, is a first. Also in attendance were approximately 85 residents of the Freedom Village Retirement community. Many residents have formed relationships with some of the students who work part time at Freedom Village and wanted to see them arrive for their prom in style. 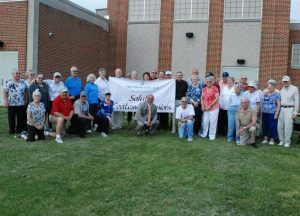 Residents from Freedom Village were special guests at the prom parade this year, which supervisor of high school principals and programs Robert Fisher hopes is the start of a new tradition in the district. According to a press release, resident Edward Ferrari suggested the idea and the administrators at the high school immediately embraced it. The residents arrived before the start of the parade and were given a tour of the gymnasium, which had been transformed to a glamorous ballroom and then were given special seats near the red carpet to view the parade and watch the students as they enter their prom. 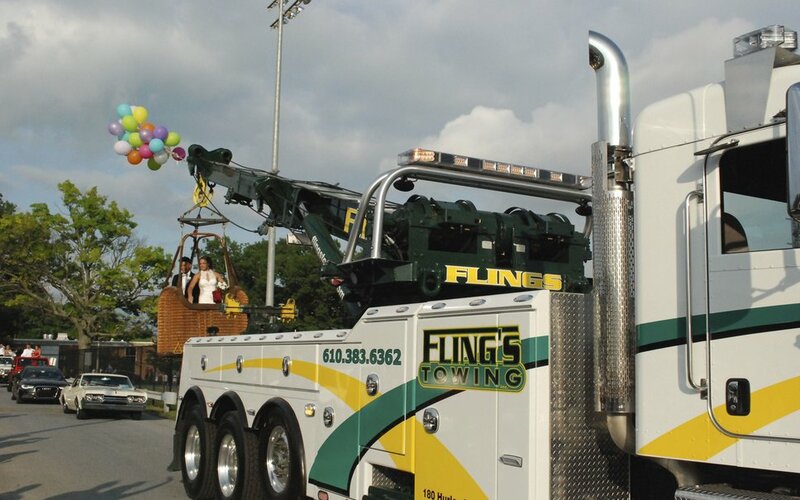 Supervisor of high school principals and programs Robert Fisher said the students were very excited to have the Freedom Village residents attend and that he hopes it is the beginning of a new tradition for the prom parade. Senior class president Aleeya Mayo said transforming the gymnasium into a ballroom for the prom was a group effort and included help from student council, junior ushers, student advisors, teachers, custodians and cafeteria workers who provided the food for the evening with their catering program.